Congratulations to "Erin", the winner in Lisa's giveaway. Thank you to all who participated! I admit it: I love writing about the antagonists – those bad guys who are determined to destroy our heroine, hero, and/or their possible romance. What’s so enticing about bad guys? For me, I model them after real life people from frustrating or difficult or even painful situations, and then I work through my hurt or anger by writing them into a story in an unflattering or compromising scenario. Got a difficult co-worker? I can write that person, either male or female, into a book and work out my annoyance by getting them fired, or . . . arrested for stalking. My girlfriend’s ex-husband who refused to pay child support? In a previous book, he ended up flat on his back after an upper cut to his jaw. Whatever the trouble, there’s nothing like venting through the keyboard. I have one author friend who’s killed off her ex-husband four times through different characters in her murder mysteries. She hasn’t had a fight with him in over ten years, but she sure has had some fun expressing her anger in a healthy manner. In A Dream for Love, Laurel Simmons is a single mom with an adorable 4-year-old daughter named Gracie, and a secret past that could get them killed. That last thing Laurel’s ex-husband told her to do was to terminate her pregnancy or he would terminate her. She ran, and she’s been running since. When Laurel wins a week’s stay at movie star Ryan Crandall’s beach house on Martha’s Vineyard, all she wants to do is relax with Gracie. Her dream vacation lasts less than half a day before Headline Crandall shows up unexpectedly. Ryan’s exploits are public knowledge, and a major reason Laurel will evade him like a mouse eludes a hungry cat, but there’s a particularly slimy character lurking around Ryan’s movie set who’s more than a little interested in Ryan and his coming and goings. Danger is unavoidable for Ryan and Laurel. Co-habiting in Ryan’s house is unavoidable. The question they have to answer is whether the attraction between them is something they want to avoid. It will take more than a dream for Ryan and Laurel to find love. If you could write a bad guy into a novel, would you have a little fun working through some pain and frustration? One commenter wins a copy of my latest release, A Dream for Love, and a few extra surprises! A single mother with a secret past. A Hollywood star who's life is anything but hidden. Will the past deprive them of a future? Or will they dare to dream a dream for love? When the gavel hit the wooden block at the Possible Dreams Auction, Laurel Simmons sat in stunned silence. Her sister had lost her mind, purchasing a week’s vacation stay for two at actor Ryan Crandall’s beach house on Martha’s Vineyard. And then Tammy announced that she was giving the “dream” to Laurel as an early birthday present. A month later, Laurel and her four-year-old daughter Gracie arrive at the luxurious house on Squibnocket Beach ready to swim, play, picnic and enjoy the peace and solitude together. Laurel’s dream vacation quickly turns into a nightmare when Hollywood bad boy Ryan Crandall shows up to escape his latest tabloid headlines. Ryan wants the woman and her child gone. Laurel wants him gone. Fate will bring them together for reasons neither one of them expected, but fate will also drive them apart. Laurel has a past she needs to keep hidden. Her life and Gracie’s depend on it. Ryan has a past, and present, that’s been food for public consumption for over a decade. Will the past deprive them of a future? Or will they dare to dream a dream for love? Lisa Belcastro lives with her family on Martha’s Vineyard. She loves running, gardening, outdoor activities, cooking, chocolate, reading, traveling, a healthy dose of adventure, and her cat, Ben, who keeps her company while she creates fictional lives for the numerous characters living inside her head. Lisa runs as an ambassador for TEAM 413 (www.team413.org), and has completed a marathon (26.2 miles) in all fifty states. When she’s not at her desk, Lisa is living in paradise, volunteering at her daughter’s school, serving in her church community, planting and weeding her numerous gardens, training to run the Walt Disney World Dopey Challenge in January 2016, walking the beach looking for sea glass, or enjoying a great meal while she pens the cuisine column for Vineyard Style Magazine. Oh how I would LOVE to be a writer and be able to express my old still lingering bitterness towards certain individuals in a novel! How creative - and a healthy way of doing so! 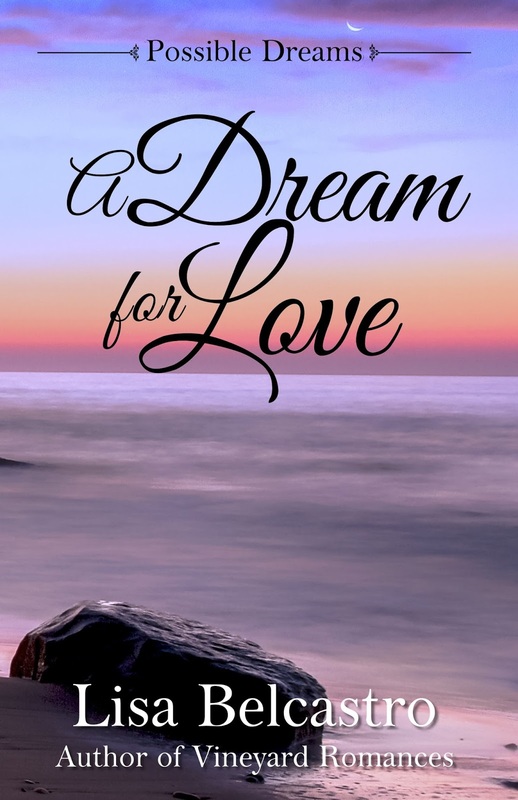 A Dream For Love sounds like an interesting read - and if I am not the lucky 'giveaway' winner, I will definitely order it up on Amazon! So glad you stopped by! You should definitely give writing away bitterness a try. Even if it doesn't get published, you'll have a great time venting your anger on paper (and you'll never get in trouble for it!). I'm with you, Becky! It's great fun!! Wow this sounds very good. Would love to win a copy of this book. Thanks so much, Stella! Good luck in the giveaway! oooh... I do like when authors create a villain with depth and angst. Makes them 3 dimensional instead of a plot device. And who conflicted it makes me as a reader when you do empathize with villain instead of instant loathing! Thanks for sharing! I think it is -- sometimes lots of fun! I'd put the bad guy through the ringer. Make him dance to my tune. Love a great villain. As you have mentioned with what you have written about others. We often can do nothing about those people who really need to get what is coming to them. Writing them as the bad guy and making their lives miserable can at least vent some of your anger. It should make you feel a bit better. It works for me, Pat! I'd never want, or be able, to hurt anyone, so this method solves everything for me . . . and a few friends who've asked me to write in somebody they were struggling with. It really is great therapy.